The Architect’s Brain, by Harry Francis Mallgrave, is primarily concerned with explaining the process by which we humans categorize our spatial environment, and how neurological wiring leads us to interpret our surroundings mostly through metaphor (rather than literal). 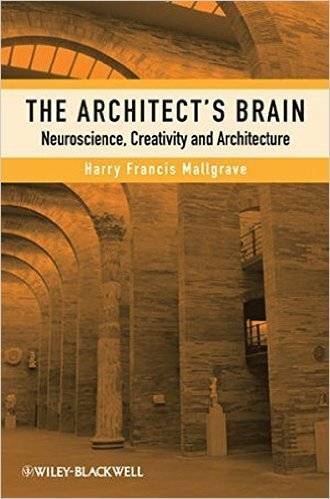 This impressive survey of architecture and neuroscience is really two books in one, as Mallgrave himself alludes. The first half of the book is a collection of historic observations, routing the history of how philosophers and scientists have considered neuroscience in relationship to spatial processing. The second half considers the current state of biological knowledge on the subject, and describes how to practically engage with that science. For this article I’ve extrapolated recurring major themes from the whole text and recombined them in categories that have the most impact to how I practice. An important reason for architects to care about this subject matter is elevated by Richard Neutra in his seminal book Survival Through Design. I discuss important components of his “biorealistic” theory in this article. Mallgrave channels Neutra to lure the reader into quickly understanding the grand implications for this area of study. Mallgrave starts way back, with Alberti offering his treatises to the Pope as early as 1435. First on painting, then sculpture, and finally on building. The idea of metaphor is important: with this philosophical theory, we can interpret a building only by first understanding the human body. Architecture is literally composed of elements that reflect our prior understandings of natural structure. Or, one might wonder, can we only envision and interpret minor adjustments to our structured world beyond what we already know? This isn’t just buildings of course, corporeal metaphor extends to urbanism, vehicles, furniture, etc. 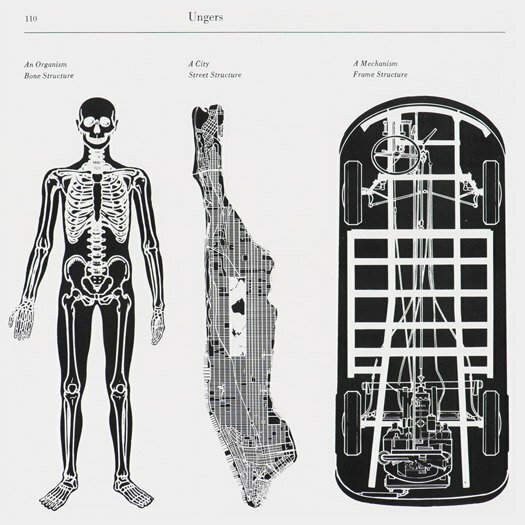 Mallgrave adds that there is the reverse metaphor too, as we often utilize architectural terminology to describe the human body. 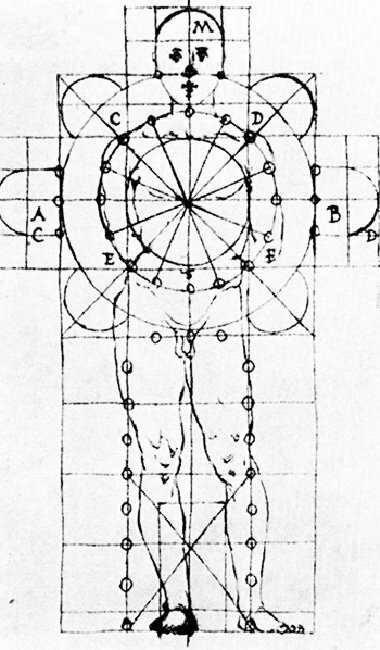 And for Alberti, since beauty is divine, proportions are potentially given by god himself. Perhaps. But, for my interpretation, the discussion of divine proportions is potentially misapplied. These magical proportions could better be defined as an architect’s ability to reduce the neurological processing required for humans to understand a space. Smooth and efficient cognitive processing produces an effect of comfort, a user of a space should be able to process their spatial environment without interruption or difficulty. Thus, divine proportion may be neurological and memory-oriented rather than celestial. Mallgrave continues with corporeality into the 1460s with Filarete. . . “its entrance is its mouth and the windows above are the eyes. The building needs to be nourished regularly with maintenance, or else it will fall into sickness and disease.” Might MEP be the blood and the circulation systems? It is remarkable how we have endowed architecture with our own vision of how things work, metaphorically. Mallgrave spends a few pages speaking of the mathematical ratios utilized by Leonardo, Bramante, and later Palladio. Michelangelo is quoted thusly, “it is therefore indisputable that the limbs of architecture are derived from the limbs of man. 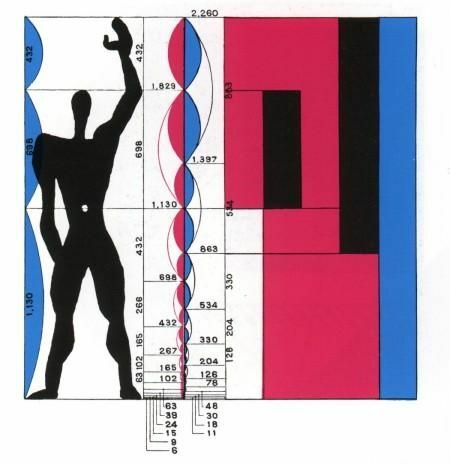 No one who has not been or is not a good master of the human figure, particularly of anatomy, can comprehend this.”  In modern times architects have similarly exhibited considerable effort to translate human proportions directly to the built environment, perhaps notably by Le Corbusier in La Tourette. Mallgrave is primarily encouraged by the intricacy that a colonnade offers, a visual interest that keeps the eye (brain) engaged. I’d offer a few other neurological possibilities. (1) the colonnade offers a unique character of being visibly occupiable. If the alternative is an opaque wall, the intrigue of a porous surface is quite pleasant. 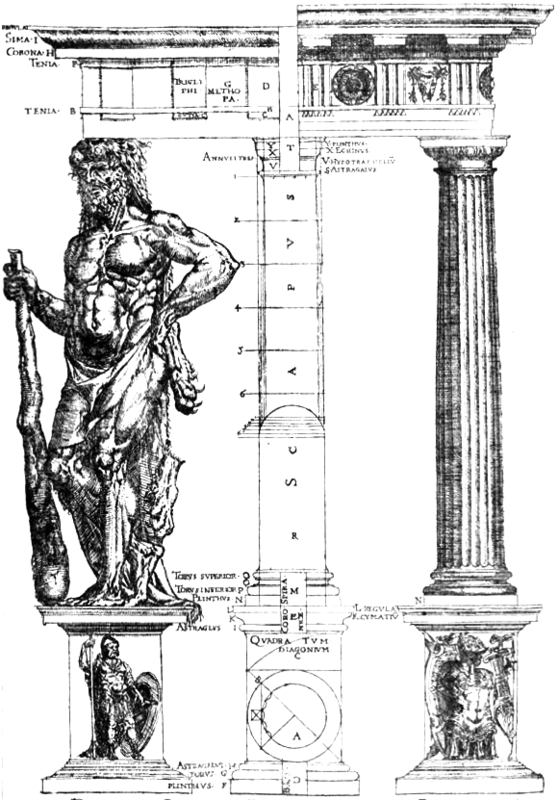 The concept of a colonnade was implemented well before the technology of large glass windows, and it is possible that hardwiring of our cognitive associations with it has continued to this day. 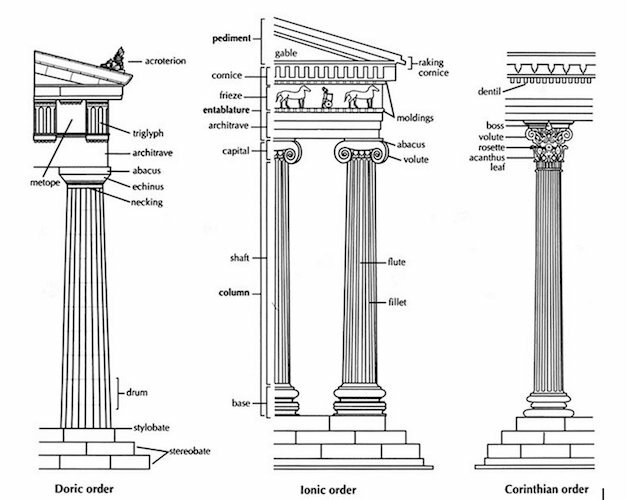 Which is why it is (2) interesting neurologically for government buildings to have columns. The colonnade is a porous threshold, a threshold that offers visibility into another space, eliciting approachability and transparency. At the least, a colonnade offers a covered space to escape sun or rain. (3) People may inherently know when this “approachability” is fake or disingenuous, such as at the Louvre, mentioned on page 31. It has a palace design that places a colonnade on its second story above a visually solid podium of stone at the ground floor. Therefore, this private mezzanine colonnade is purposefully different and perhaps deceptive: the ground level offers visual repulsion while a columned terrace above, impossible to access, becomes an elitist metaphoric tease. Architects exploit such a metaphoric condition for neurological advantage, it is a palace after all. 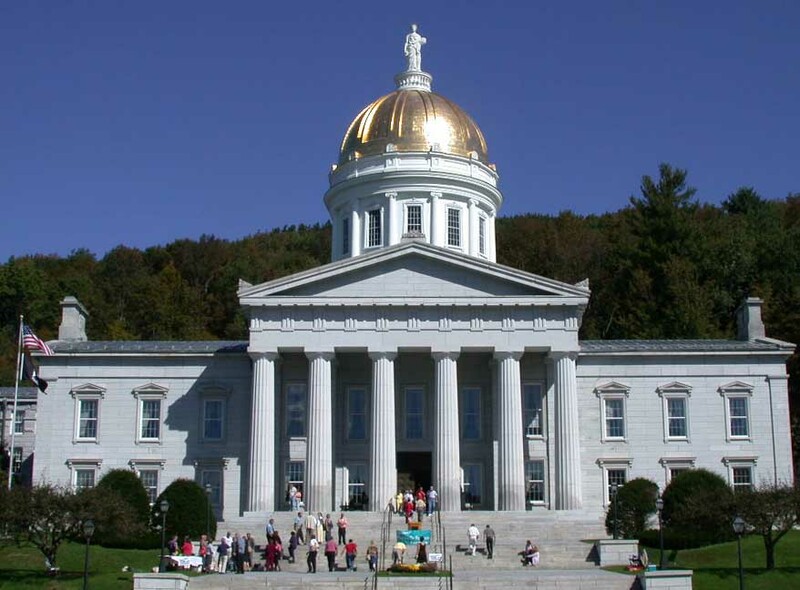 We can compare the use of a terrace colonnade at the Louvre with the Vermont State Capitol building, a democratic building where the colonnade may be providing a metaphor of a mouth, a visually occupiable ledge accessible via a wide staircase. This colonnade example may be tectonically specific, but it sets up a format for discussing how architectural components resonate in the wiring of our brains. And, what about ugliness or disproportion? A definition of cognition should incorporate these emotions as well. Mallgrave introduces us to Edmund Burke. Ugly, discordant sights are necessary to awaken an individual and contextualize beauty. Perhaps this isn’t so dissimilar to the philosophical idea that we need evil in the world if only to highlight and appreciate the good. 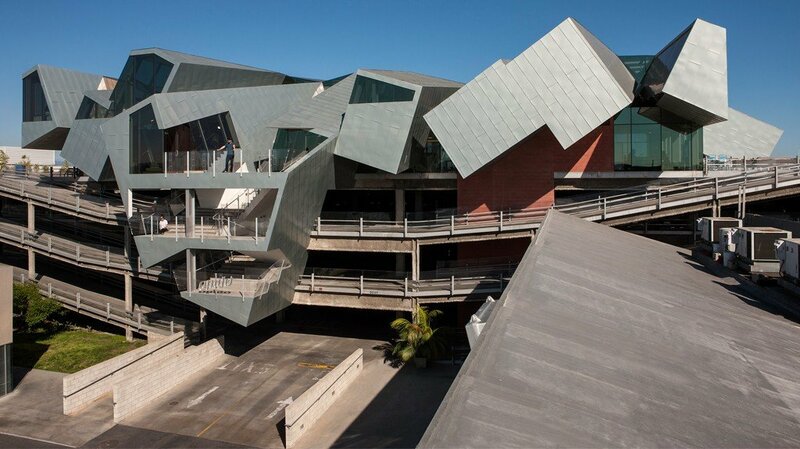 Many contemporary architects revel in utilizing discordant geometry, think of deconstructivists like Thom Mayne or Eric Owen Moss. I would argue that Mallgrave and Burke would believe the sublime should be limited as elements for effect, not as entire constructions. For example, disproportion can be utilized to elicit very specific responses to coerce a building’s user to feel a certain way or move in a certain manner (fear, repulsion, exposure, compression, release, etc). In a few of my earlier articles, I refer to what I’m calling “The 5% Rule,” wherein up to 5% of all architecture can be offputting, daring, discomforting, sublime. Beyond 5%, we as humans would live in a wonky world with too much to neurologically process. It’s not a stretch to apply Burke in this manner, what would happen if the whole built world was cognitively ambiguous? But, neurologically, what is happening in our brains to make us uncomfortable? There is a fascinating area of research which is typically titled the “Cortical basis of visual form processing,” via scientists such as Aniruddha Das at Columbia University. Amongst other topics, they are interested in how our brain processes different types of geometries. There are different neurological pathways in the brain to route from the eye to the mindful recognition of different types of shapes. In a “search for edges,” our brains process horizontal lines, vertical lines, diagonal lines, curved lines, and crossed lines in different cortical patterns, with potentially major impacts on our enjoyment or efficient recognition of an environment. Maybe we can call the moments of dysfunction “deconstructivist vertigo” or “parametric misalignment,” moments where many viewers are startled and might say “that building hurts,” though architects often feel awe. This discussion also directly relates to the neurological process of ‘anticipation.’ Ugly or disproportionate elements startle us because they are outside of what we expect in our vision. For understanding neurological theory, this idea of sublime or interruption is something to hone for architectural craft. In physiological effect, somewhere between the relaxation of beauty and the jabs of the discordant, Uvedale Price believes there is the picturesque. He believe the irregularity of the picturesque is what intrigues us. There is an interesting unintended benefit of irregularity and interruption: programmatic resilience. Not specifically advocated by Mallgrave, but alluded to by Richard Knight: “It has, however, the advantage of being capable of receiving alterations and additions in almost any direction, without any injury to its genuine and original character.” The picturesque therefore has the more practical attribute of resilience, its lack of purity – its roughness – allows for multiple interpretations and flexibility over time. 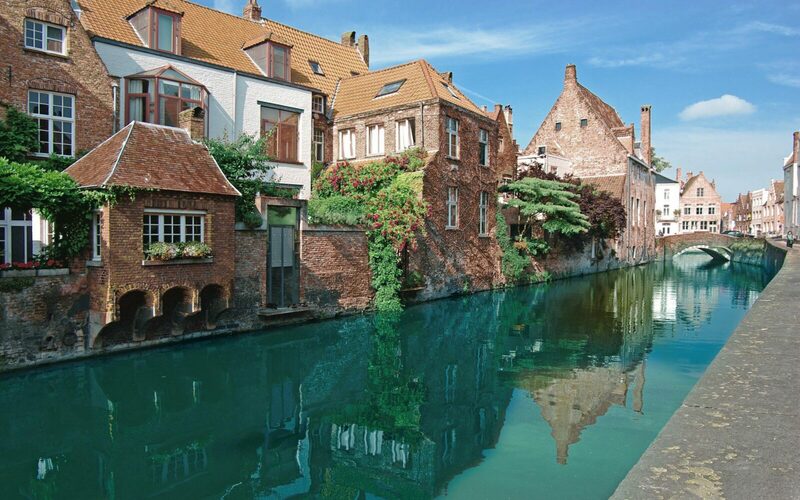 This is no coincidence though, medieval construction is analogous to our more modern informal developments such as barrios or favelas where construction is not preconceived, but, rather, undertaken in conjunction with economic opportunities or to accommodate family. 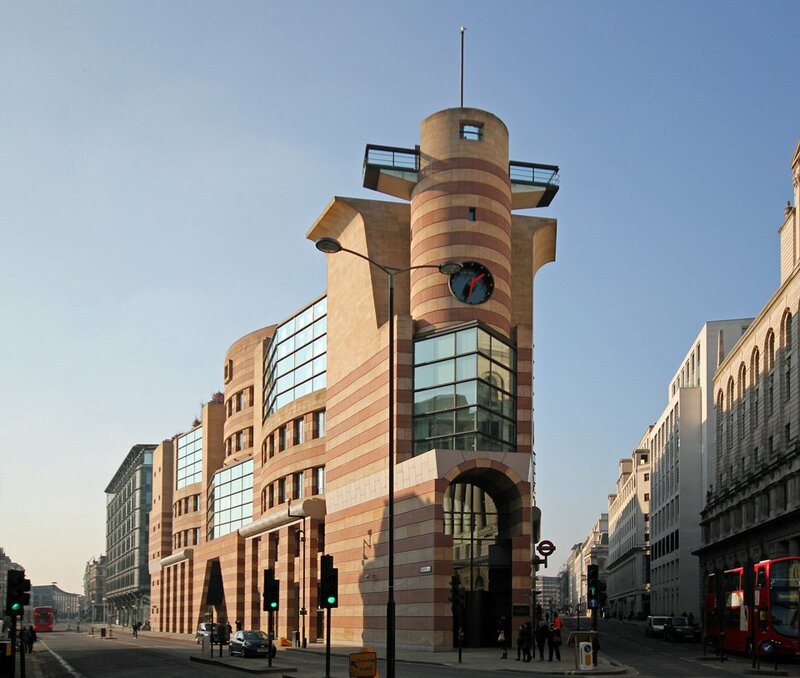 Postmodernism – and how we interpret those buildings – may offer another basis for how to discuss the sublime. 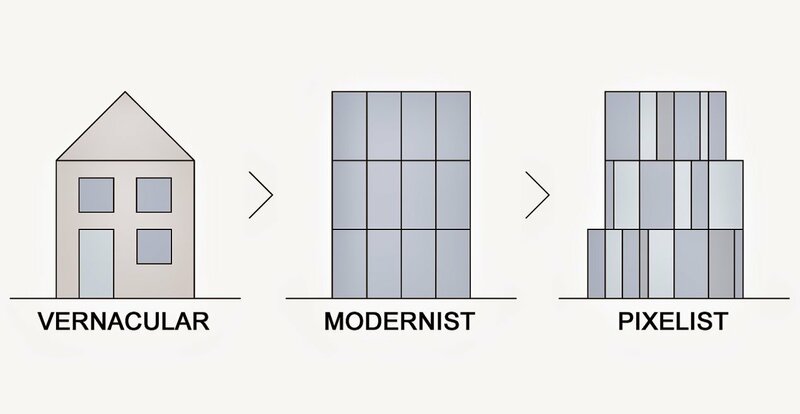 Certainly, the intent of postmodernism (think Michael Graves or James Stirling) was to utilize the capacity of our cognition by reusing historical components. Their misappropriation, and therefore cognitive misinterpretation, may be what makes many postmodern buildings appear somewhat disfigured. The right intent, but perhaps miscommunicated in execution. I would note, there are some folks who are not uncomfortable with postmodern buildings, and instead encounter delight in the compositions. Therefore, it is important to remember the search for understanding the relationships between “neuroscience, creativity, and architecture” is not necessarily a search for universal or scientific truths. It is a study in the process, for architects to better harness human neurology for the greatest good. An example of embodied character or “purposiveness” might be a gabled roof, as Cicero argues (yes, from Roman times). Even in southern California, where steep pitches are not required or advantageous, they bestow purposiveness upon a viewer. Form has little effect on our brains if it is not infiltrated with meanings, and meanings typically come from previous experience and metaphor. 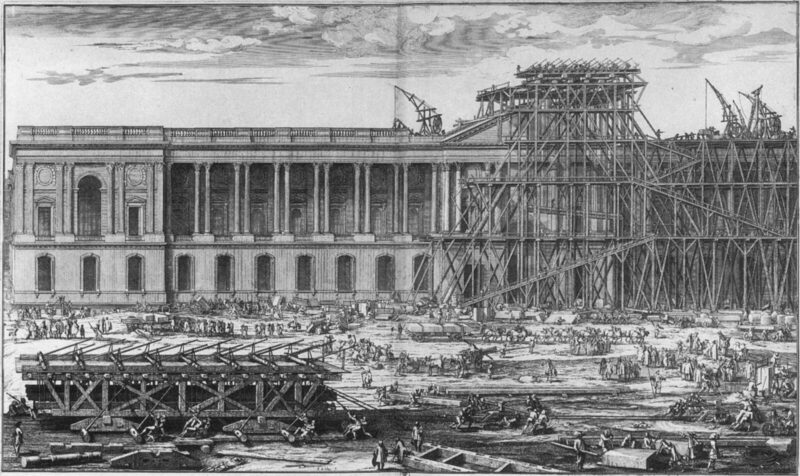 Purposiveness is harnessed by Schinkel as a tool for architectural form-making. 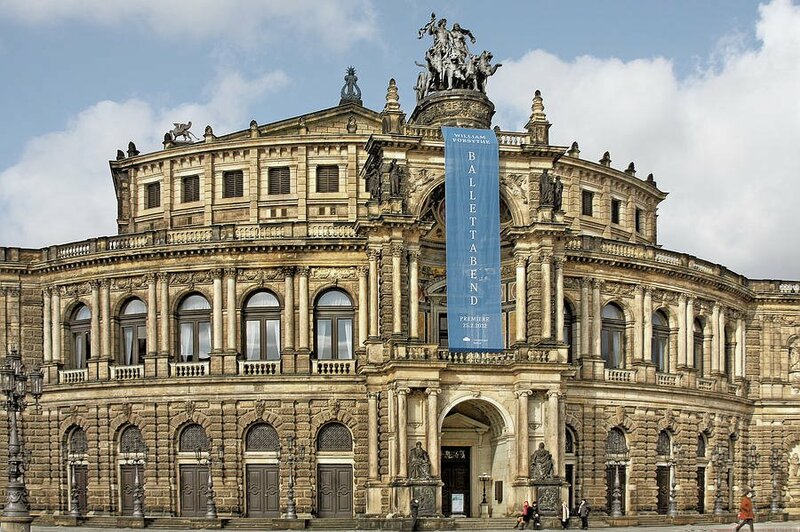 By reducing architecture to its tectonic elements, Schinkel was free to use decoration as a separate entity, applying strokes of ornament as a secondary layer of design, or not use it at all. This potentially makes him the first architect of modernist thought, and perhaps the reason why my Cornell Architecture professors were so obsessed with his Altes Museum. Purposiveness can also be discovered within the detailing of materials as well. The example given by Mallgrave is Gottfried Semper’s rusticated stone. The gravitational forces can be embodied and enhanced by a certain detail trim to accentuate the roughness of the stone block. Psychologically, for a designer to separate the effect of a material from its form, this application opened a new world of designed interpretation. Architects were able to harness a human viewer’s expectation of the spatial world by emphasizing architectural components for greater effect. Though our brains crave familiarity, they simultaneously seek the awakening that comes from the sublime or “difference,” which explains why styles evolve. Without reading this book, one might just say “we get bored” of certain imagery. Perhaps this reductive viewpoint is enough, but understanding this process in the context of our memories and perception may offer further insight. A side effect of understanding the jading process is architectural self-awareness. Goller “pointed the way to a viable new era for architecture by stripping form-making of its historical or stylistic guise.” And this stripping away leads to abstraction, very progressive for the late 1800s. A self-aware architect will be able to separate formal techniques from stylistic accessories. Tellingly, humans are born with a mostly blank slate, and most stimuli associations are mapped prior to completing our teenage years. That is why learning is age specific, especially for skills like languages. I might propose that our perceptions of the built world are similarly constructed during our years of growth. Briefly, Mallgrave touches on the fragility of our mental reconstructions. “A familiar object that we fail to recognize in an inverted position does not lose its essential configuration but rather its significance.”  As a topic, I believe there is a lot more to uncover about this “inversion.” Humans have an ability to recognize things that are, for example, upside down or split into pieces. 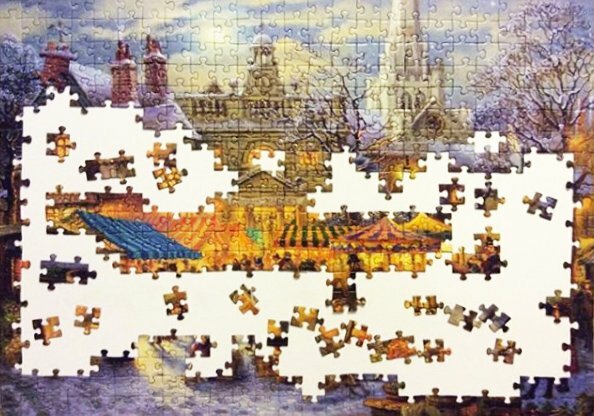 We can physically reconstruct a jigsaw puzzle, though strictly through pattern principles. There are moments when portions of that jigsaw puzzle become cognitively registered as recognizable. 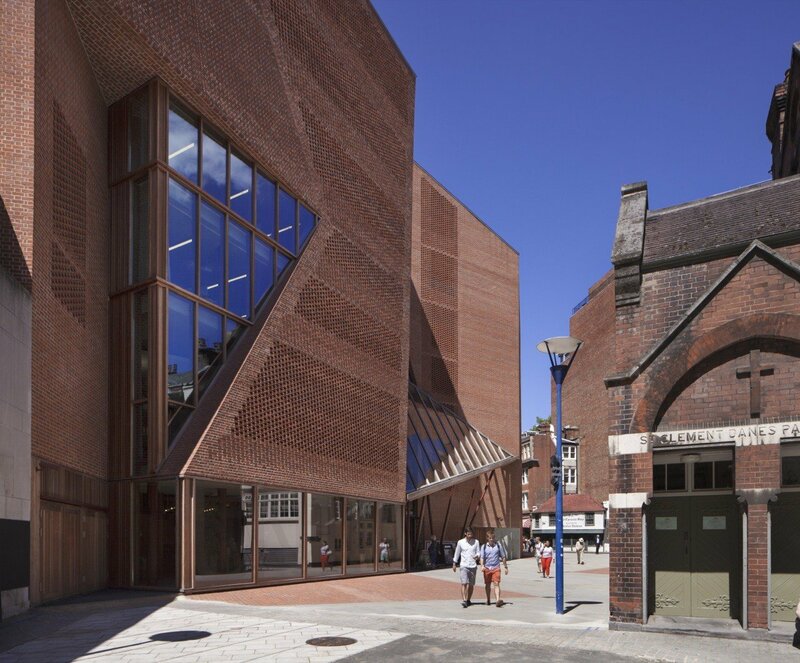 Those moments, at that edge of recognition, is an important perimeter for architects to set for their designs if they prefer to have interpretable buildings. 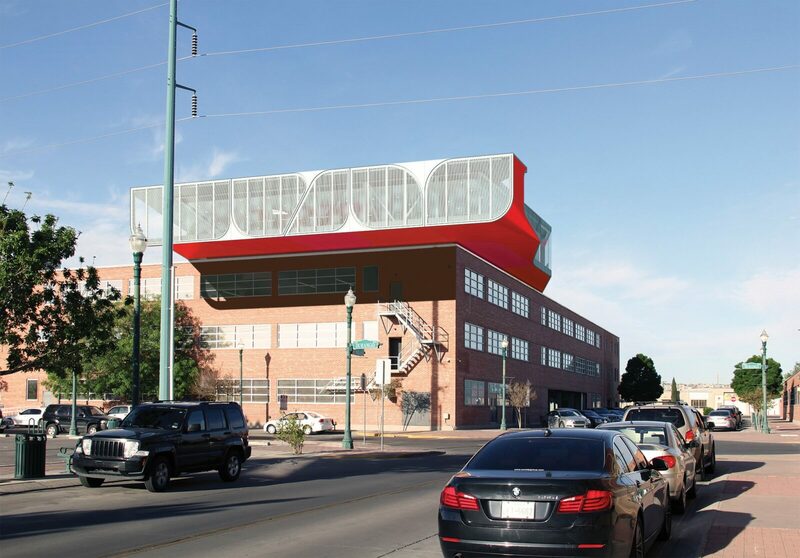 Or, perhaps in the case of Neil Denari’s El Paso penthouse design, he uses the moment of the sublime, the moment of inversion, to spark interest in the viewer and create a unique and memorable vision. It’s not the red underbelly that is interesting per se, it’s that there is an underbelly in the first place, as a shape we might expect as a mansard roof rather than underneath an occupiable floor. Our brains recognize the essence of the building, but the inversion makes the spectacle. This is why, for example, two people can see exactly the same thing yet have different memories of what would appear to be factual elements. This is why you can see the same thing twice and have a different experience. Technically everything we see is a representation that our brains have entirely reconstructed for our cognitive consumption, and this translation process can be riddled with flaws due partially to the rapidity of the translation and partially because we do not have the neurological processing power to sense everything, our brains must fill-in blanks with expectations. It is interesting to read this book while watching Westworld on HBO, many of the topics are quite relatable. The “hosts” don’t have clear distinctions between present experience and memory, and technically, why should they? That is a distinction we humans require for our society to progress, but the two aren’t as distinct as one would imagine. Once an image is recorded, it hardly matters if it is present or past. That is why we can recreate sensation so effectively. Such a statement might immediately conjure comparisons with Virtual Reality. I would argue this technology is cognitively distinct from actual experience, as there are no sensations recorded beyond the purely visual. How we associate elements together helps us to create multi-sensorial environments and solve for anticipation. If we always eat hamburgers that are hot, we are surprised when one is cold. It is the image of a hamburger that elicits other sensorial expectations. A person that emits “warmth” isn’t actually hot unless they have a fever. Instead, they have that connotation because of associations like human hugs, perhaps initiated when we were held by our parents as babies. The manner in which our brain categorizes its sensory memory can be considered fragmentary – the visual character, geometries, temperature, sound, and smell all travel separate channels in the brain – therefore allowing each of those portions of a memory to be accessed for different stimuli. Mallgrave uses the example of a visit to the Parthenon on page 165. One doesn’t have to be literally in Athens to have a recollection. If we were, for example, to visit a desert mesa years later, we may instantly recall the heat of being at the acropolis without shade, and images of the Parthenon may burst into our brain, such that it seems present. Interestingly, different components of our sensory environments are not only processed by our brains in different places, but also processed at different speeds. Even a component of our sensory environment as basic as color, isn’t really a component of the object itself, but rather of how our brain categorizes the environment according to light. Semir “Zeki in fact has defined color in a very compelling way as ‘an interpretation, a visual language, that the brain gives to the constant property of reflectance.’”  There is no scientific way to determine whether any human interprets “green” in the same manner. But, our environmental association that “green reflectance” is an attribute of vegetation or money, for example, may be enough to endow that reflective value with associative meanings. Zeki refers to artists Piet Mondrian and Kazimir Malevich as neurologists. Their reductive art, or experiments, use simple geometries for discovering how our brains associate the features. A horizontal line may be processed in the brain entirely separately from diagonal lines or the reflective properties of color. 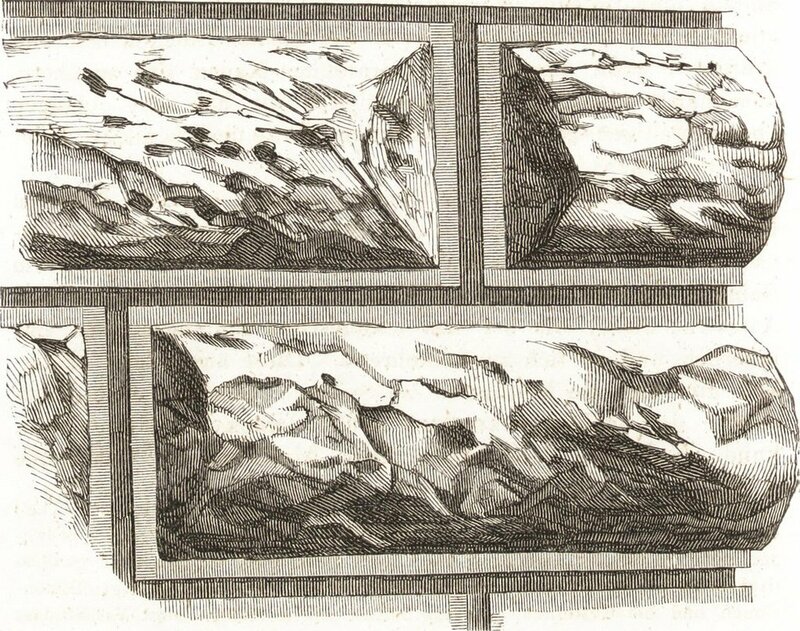 The goal was “to try and find out what the essence of form as represented in the brain may be.” The experiments could uncover, for example if “there are indeed ‘universal aspects of forms’ that have a particular resonance within the brain, or if there are primary neurological forms (such as square, circles, or particular rectangles) from which all other forms may be constructed.”  In this context, abstract art wasn’t intended as an insult to the public, but rather a prodding of how our brain reconstructs the geometries in our environment. We may question the success of such experiments, considering most viewers perceive little when viewing a Mondrian. 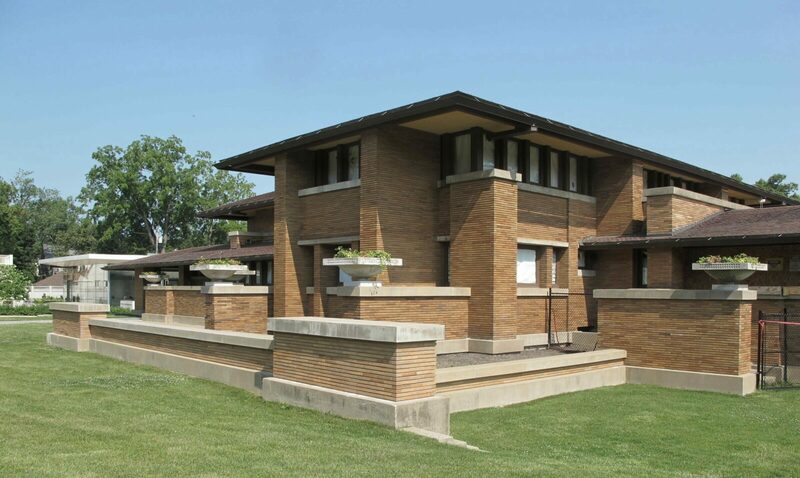 Frank Lloyd Wright’s prairie style homes are mentioned by Mallgrave as an example of this ambiguity being utilized in a more prosaic manner. 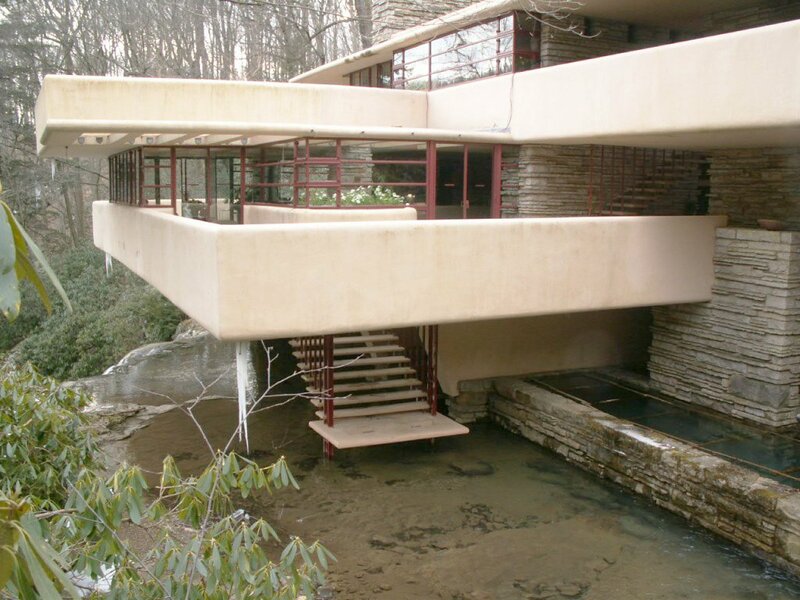 Wright reduced domestic architecture to the structural lines, notably the horizontal line. He removed this horizontal line, and hence the idea of wall, from it’s immediate association with vertical elements and punched windows. He was then free to utilize these horizontal elements for multiple effects and readings. That was the first time the distinction between inside and outside spaces was conceptually blurred, and when horizontality was utilized conceptually to emote feeling by setting up a contrast between horizontal, vertical and open. The area in the left hemisphere of the brain where we “read” fails to solve for complex situations which would require associations between multiple distinct memories. Problem solving is instead handed over to an area of the right hemisphere “where a ‘coarser semantic coding’ (the ability of the brain to generate larger associative patterns or recognize ‘new connections across existing knowledge’) allow a more creative solution.”  It is this associative ability that defines how creative people engage problem solving. 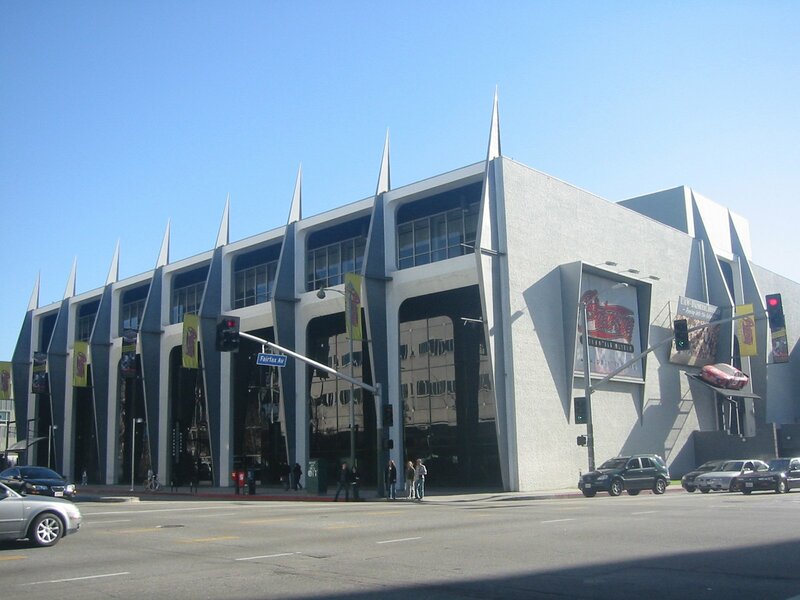 When I was writing my critique of the Petersen Museum, I stumbled on this very issue, how to distinguish between architectural metaphor and its simpler cousin, symbolism. Mallgrave makes a case for emphasizing the former. In his view, the TWA Terminal at JFK is a “superficial” or “shallow” metaphor, one that only figuratively represents flight. 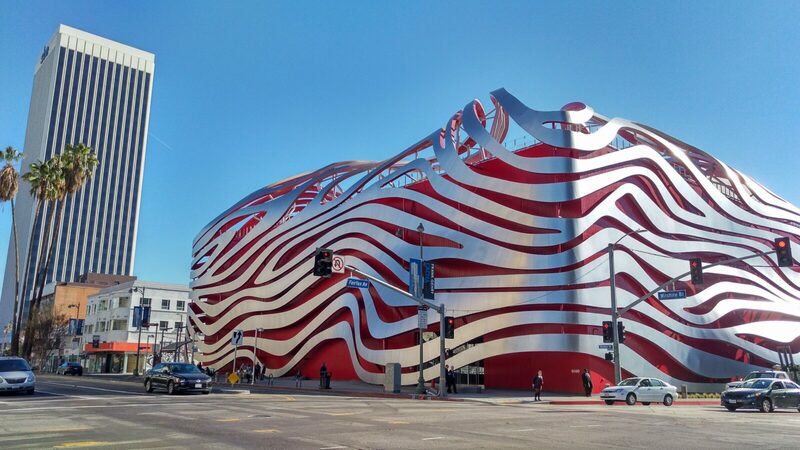 Indeed, a visitor to the Petersen is unlikely to feel the spirit of “speed” emitted from metal ribbons surrounding a red box. Similarly, AC Martin has expressed claims their new Wilshire Grand Tower is inspired by California’s mountains and forests. We should be suspect. It could be an inspiration for, say, a material palette. But never should an architect expect that a visitor would somehow metaphorically understand this tentative connection, and be transported metaphorically to places of California’s nature. That would be an entirely separate investigation. 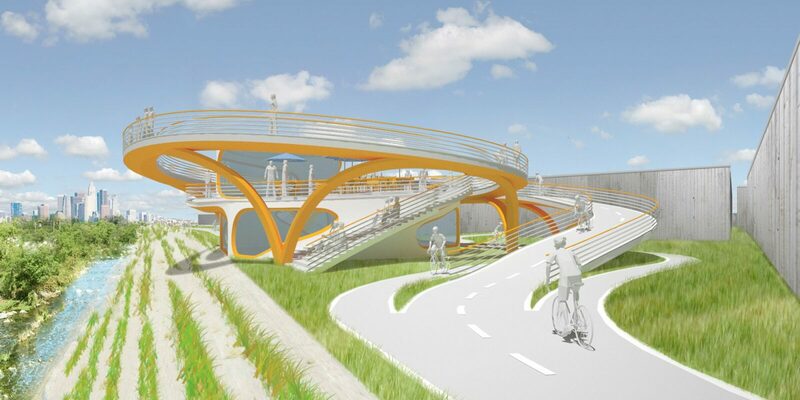 For me, a building design must perform two objectives: circulation and activity. 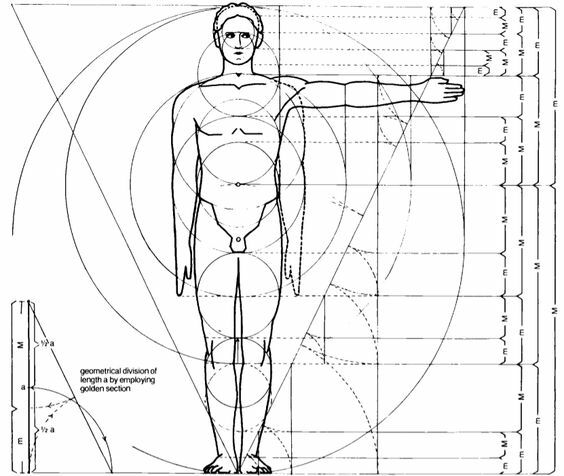 Humans only perform these two operations while in architecture (1) that of navigating to and within a building, and (2) the particular function they might perform in the traditional sense, whether studying, playing basketball, viewing art, sleeping, etc. Therefore a successful building will embrace these objectives and provide accommodating cues and compliant spaces that make our neurological processing more efficient and comforting. I believe navigation to be particularly important, and should be more often considered to be a valid primary driver of architectural form by most Architects. My design focus on diagrammatic geometries typically endeavors to integrate the circulation of users as a primary project goal. Neuroscientists have made good progress identifying how our brains process our spatial surroundings. John O’Keefe and Lynn Nadel discovered “place cells” which are neurons specific to creating a cognitive map of our spatial environment, which is referred to as the “place field.” “These fields are non-anthropocentric,” meaning that our brains create a spatial reconstruction of our surroundings that is not egocentric, not formed based on our human condition. The place cells essentially create a model of our environment that isn’t associated with a particular viewpoint. That’s an important distinction to note, that our brains are wired to reproduce our surroundings and make decisions globally rather than by what is directly in front of us. My research in diagrammatic geometries may relate directly to this: an architect can expect a building’s user to cognitively construct a virtual reproduction of the entire surrounding geometry. This helps us to know where to go for various reasons, for example to find a bathroom or to flee in a suspected fire. 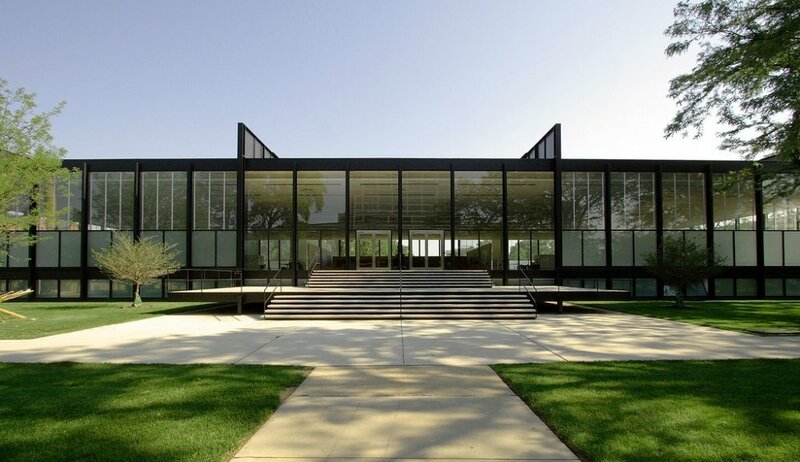 Intuitively, architects understand the necessity of landmarks, we use them to navigate our own worlds. Architects have typically been endowed with what we call a “good sense of direction.” That’s really a lay term for “effective place and grid cells.” As with any part of our biology, sometimes it is helpful to contemplate how we evolved in this manner, and Mallgrave suggests that even hunter gatherers required the ability to move swiftly and return to places of origin. To further emphasize the biological point, Mallgrave mentions that taxi drivers have been observed to have enlarged areas of the brain where the spatial processing occurs. Nowadays, with ubiquitous GPS navigation via technological devices, would these areas of the brain shrink, or not grow as much in the first place? And what about size or scale? I would argue there is also a sort of maximum computing power for the place and grid cells, beyond which humans may be overwhelmed or lost. I have written before about the traditional scale of what might comprise a “building,” beyond which urbanist or “campus” systems may need to enter the composition. There are other limitations to our cognitive mapping. Notably, as dog or cat owners might advocate, humans do not have “GPS cells,” or whatever it is that allows a dog to find their home after being dropped-off miles away. Such navigation isn’t mentioned in the book, but it’s doubtful there is much productive research in canine neuroscience. (1) The computer, as the first tool of design, tends to have a leveling effect on presentational techniques and, arguable, design originality. (2) Computers tend to dematerialize design thinking and result in abstractions far removed from the world of human sensory experience. Such concerns are problematic for a computer-only architecture student generation. Is there really a tactility to human initiated design over the technologically derived? If so, how might a student this decade acquire the skill set of when to deploy one or the other? I would certainly argue the two are complementary. As for dematerialization, students have always stumbled through material selection until their final year. When prompted, they frequently offer the color “white,” or retort “concrete,” neither of which offer a mature grasp of materiality. But, that has probably not changed much since real stone and solid wood were removed from the standard palette some 40+ years ago. (1) For me as a contemporary designer, what does this mean for unique geometric forms and diagrammatic projects? (2) How can we expect a user to comprehend a new form for navigation and function? 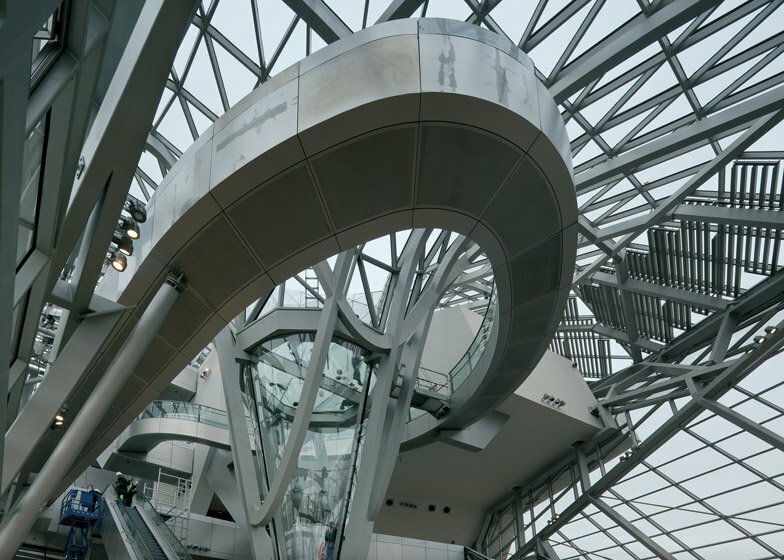 (3) Is a successful building really about creating an experience that is defined by anticipatory elements, even if combined in a wholly new organization?